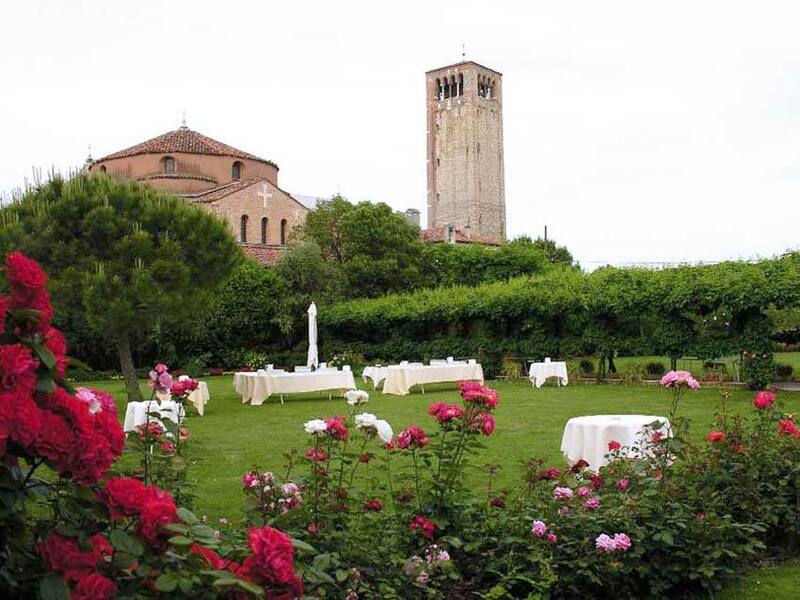 On a verdant island in the venetian lagoon, a silent and romantic island where just a few people live today, so different from the crowded city of Venice. Select this venue if you want to retreat from the crowds and enjoy the relaxing view of peaceful canals while you have a sparkling glass of wine. Private transportation on water takes you there in approximately 30 minutes ride, a really pleasant way to enjoy the undiscovered corners of the lagoon. This enchanting Venetian Locanda is a worldwide renowned restaurant. Ernest Hemingway wrote whole pages dedicated to this Island while he was staying in the rooms of the restaurant. Celebrities like Elton John and even Queen Elizabeth dined at this old-fashioned beautiful restaurant that is often selected by the most famous artists who appreciate the intimate atmosphere. 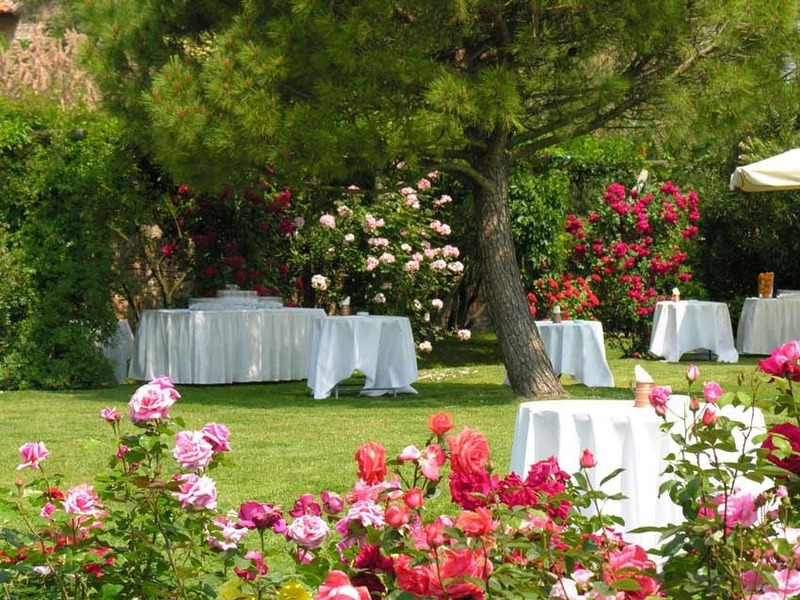 Every year roses, tulips, daisies and more flowers decorate the charming garden in spring, summer and autumn, and dining outdoors is a wonderful experience! 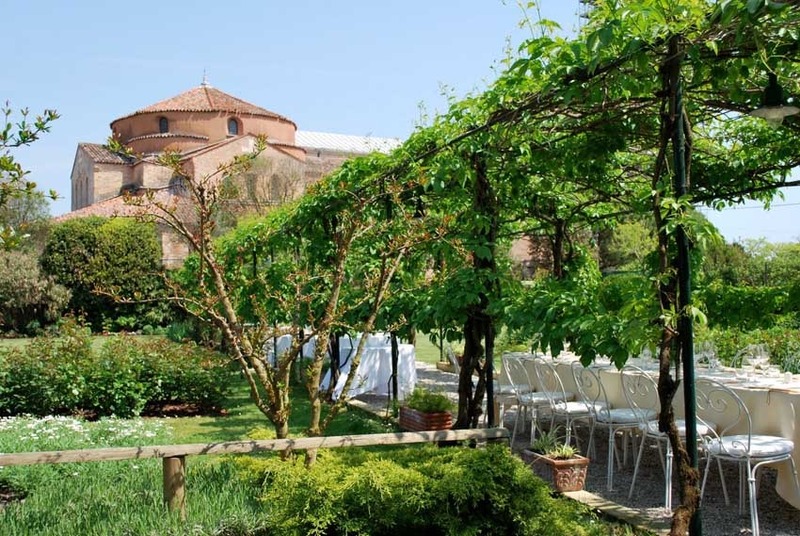 Symbolic ceremonies are allowed outdoors in the garden or in one of the inside halls, the exact setting depends on number of guests attending and period of the year selected. 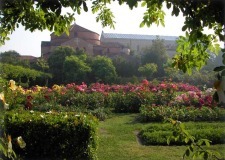 Couples can visit the garden and select the spot they like best for the ceremony. 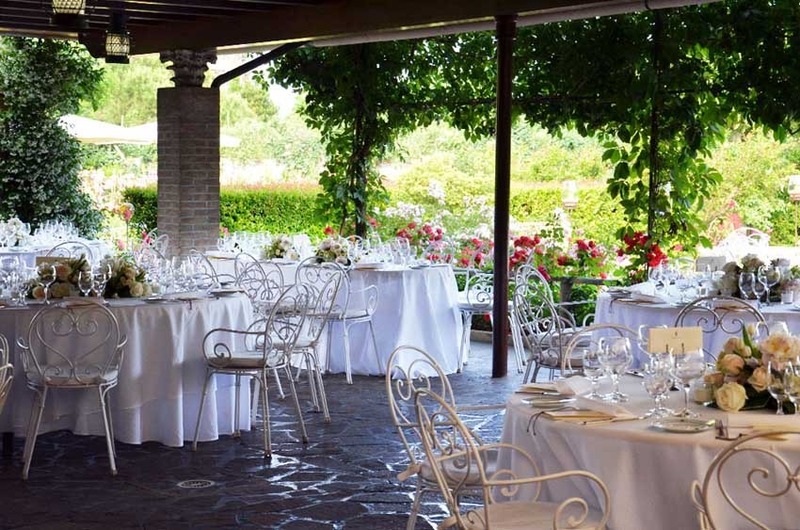 The simplicity and the elegance of this restaurant combined with a top class service and culinary delights are the secret of the success of this Venetian restaurant. 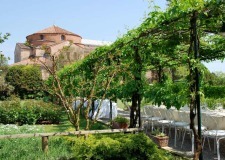 There are two large halls inside (up to 100 people in one and 80 in the other one) with glass windows over the garden, cocktails can be organized outdoors, in the garden or under a pergola of roses, followed by a wedding banquet inside or even outside if weather conditions are good. 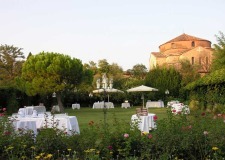 We feel this is the ideal place where to organize a wedding, next to the bursting Venice but in a relaxed and refined environment. The best fresh food in Venice! Fish comes from the nearby islands of fishermen, exquisite and international cuisine. 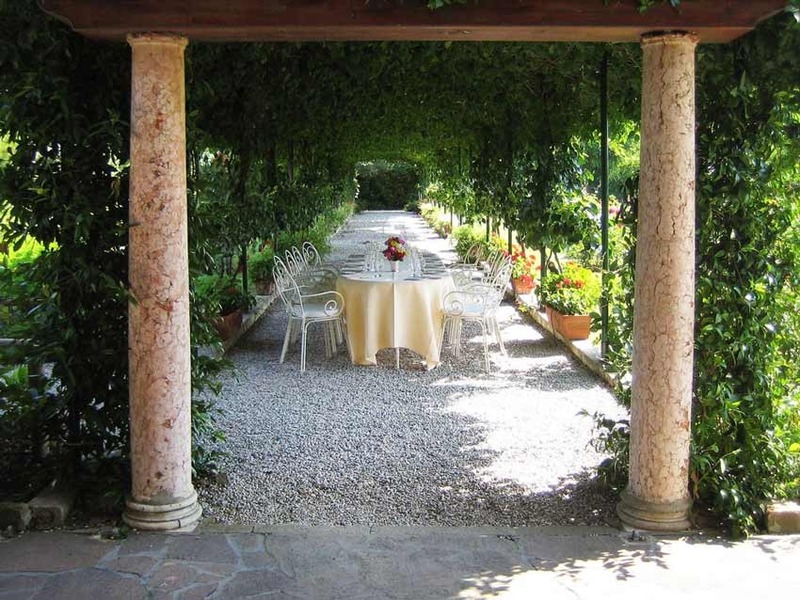 Soft or classical music is allowed to entertain guests during and after dinner until 11:30pm. 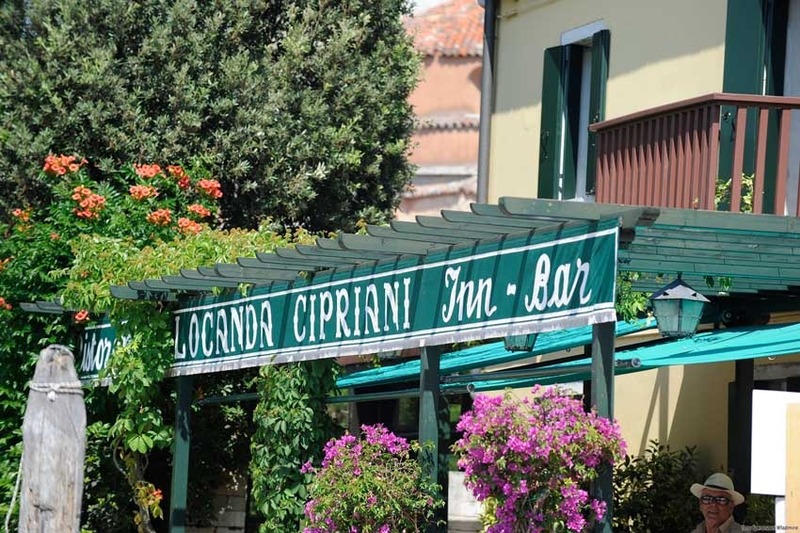 On the first floor of the restaurant there are 3 single rooms, 2 junior suites and 1 senior suite, each of them is truly beautiful with a lovely view, the furniture reflects the original character of the Locanda. All the rooms are spacious with large beds, vaulted ceilings and bathrooms decorated with local mosaics. All year around except January since the restaurant is closed.